Aria Pro II SB-1000 Exhibition Models! Billy Gould's Aria Integra Bass For Sale? 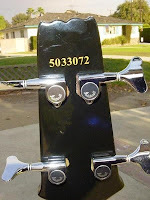 This is the first in what I hope to be a regular series of posts on "famous" Arias basses. I will post about basses that were owned by famous players and that have come up for sale or are on display in places like the Hard Rock Cafe. First up, is what I believe to be Cliff Burton's Aria Pro II SB-1000. I have tried to contact the current owner for more details but haven't had much luck yet. If you're reading this, talk to me! 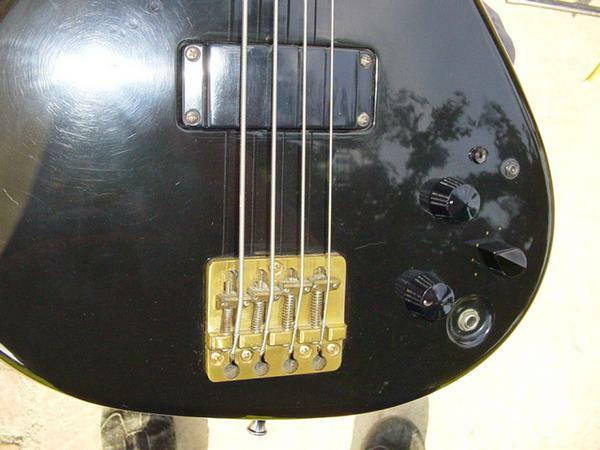 This bass first came up for sale on eBay a couple of years ago. A lot of people were skeptical because of the high price and also the fact that people only recognized Cliff's Black 'n' Gold which had oval inlays and gold hardware. However, I believe this is the bass Cliff used in 1985 at legendary shows such as the Donington Festival, The Metal Hammer Festival (video) and the Day on the Green (video). He may even have recorded Master of Puppets with this bass. It is definitely not a re-issue as the finish, hardware and parts are all consistent with 1985. The finish is more of a very dark green when viewed in direct sunlight which is consistent with the black finishes Aria used in that period. 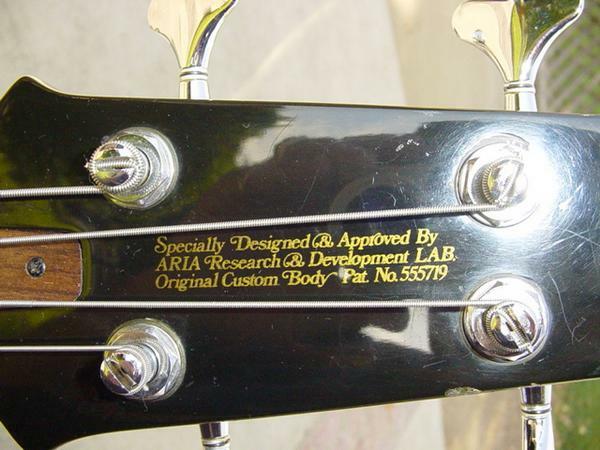 Black Aria Re-Issue basses are more of a true black finish. Finally, the serial number also places this bass from 1985. Unfortunately with a black bass there is no visible wood grain or any other hints to compare to pictures of Cliff playing the bass, so it's hard to ever be 100% sure. But given that the owner said he got it from Aria's former head of distribution, the rarity of black SB-1000 basses, and the fact that it's from 1985, I think it's authentic. It's likely Aria sent Cliff two (possibly three if you count the SB-Integra that Cliff apparently gave to Billy Gould) models to choose from: the SB-1000 and the Black 'n' Gold. 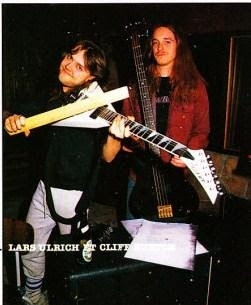 In a 1986 interview with Harold Oimen, Cliff said he preferred the Black 'n' Gold. So Cliff probably just had the SB-1000 sent back to Aria, opting for the Black 'n' Gold model. 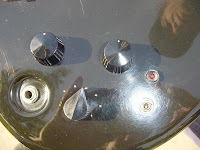 As you can see from the photos below, there is quite a lot of wear on the bass, including the bypass switch being broken off. Since Cliff really only played the SB-1000 for a short time, the wear probably occurred after Cliff's time with it. 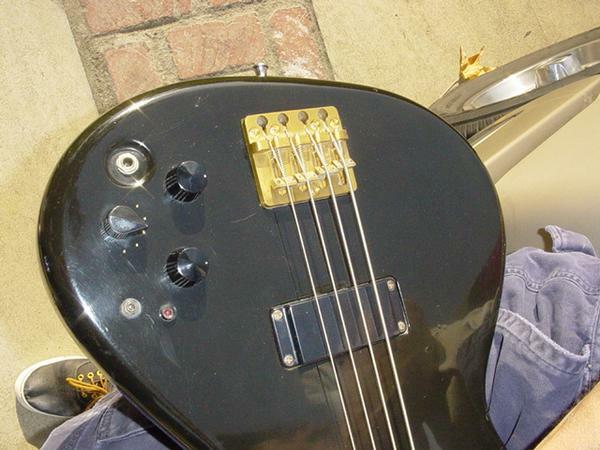 Apparently the current owner still gigs with this bass, which some people might not like. Personally I don't have a problem with it, and I think the only thing better would be for Robert Trujillo to buy this bass and play it in Metallica. Now that would be cool. Great blog - I'm your newest follower via GFC :) I see that you're in to guitars...would appreciate it if you'd come check out GuitarTrump! AC/DC "Plug Me In" Wall Poster Giveaway! 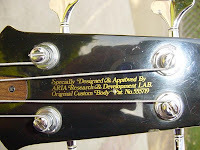 I have a Korean Aria Pro II 4 string bass with serial number S00011427. It's finished in dark natural wood. It had active electronics (currently not working) a bolt on neck and is as pretty as a picture. 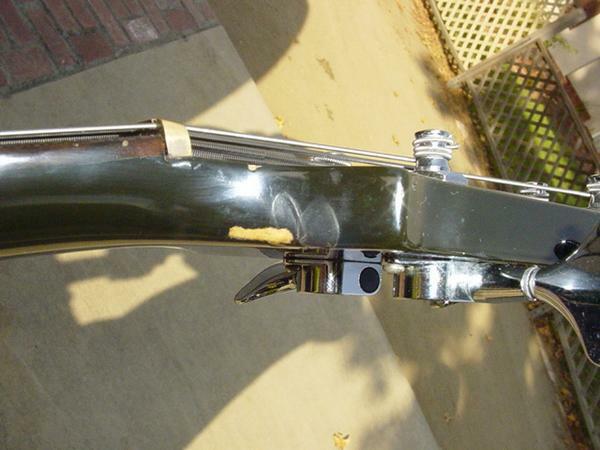 I'd like to find out when it was manufactured and where I can take it in the IUK to be repaired? 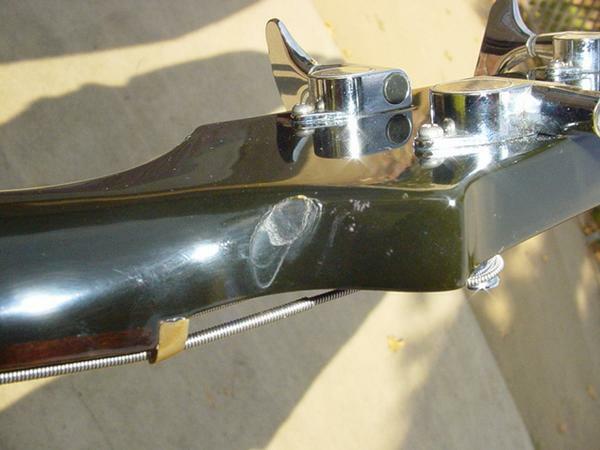 You could try to contact ariauk.com about repairs. I can't be sure of the serial number, but it could be made in 2000. Do you have pics of it? it is the real deal take a good look at it the tail peice is brass and the tunner's are silver.and the only times i played i was asked to do so by Kirks brother Richard Likong.I am thinking about putting it out there again.i heard from a close friend of James that he wanted it.I have been waiting for that call.